Knob Creek Straight Rye Whiskey was launched in the US in 2012. Distilled at Jim Beam and without age statement, it is a 100 proof rye whiskey. The Knob Creek brand was introduced 20 years ago and it is famous for being Beam Family’s premier small batch bourbons. 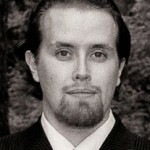 Jim Beam’s grandson Booker Noe was the man behind the brand, which is now also aiming the rye whiskey market. Other Jim Beam ryes are Old Overholt and Jim Beam Rye. Knob Creek Straight Rye won Double Gold and was voted “Best Rye Whiskey” at the San Francisco World Spirits Competition in 2012. The mash bill has 55% rye, 35% corn and 10% malt and the final product is a blend of spirits matured in new charred oak barrels for 5-9 years. Knob Creek Bourbon’s mash bill is somewhere around 75% corn, 15 % rye and 10% malted barley. The Kentucky Fried Movie – this time in a good way! Knob Creek Rye is good but it could be even better. As a fan of 100% rye or whiskeys that are even close to being “pure rye whiskeys”, I’d love Knob Creek Rye to be something like those drams. 50% alcohol per volume level makes it better, though. 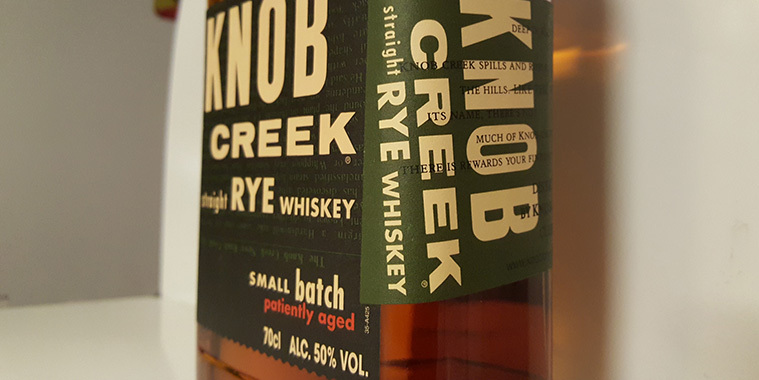 Knob Creek is a strong rye mixed with other strongly characteristic ingredients. It is not the most balanced dram but it is entertaining and exotic. And there is that strong rye feel in the mix, which is very important. Still, would be nice to taste a 100 proof Knob Creek Rye with at least 75% rye mash bill. That would probably be a great rye whiskey! Nose: The feel of corn is very strong at the beginning, even though the robust rye comes out quite early and starts to dominate. Herbs and hints of menthol. Taste: Persian cumin, licorice, bubble gum and ginger. Strange and exotic first but in the end, like with the nose, straight forward spicy rye starts dominating. Finish: Very spicy, nutmeg and saffron. Rye and corn come very late in the aftertaste. With 50% ABV, I expected more from the aftertaste. It is strong but kinda quick and at the end of the day, pretty one-sided. Balance: Real straight shooter – because it has powerful rye character, I don’t mind the one-sidedness in aromas and aftertaste. Good basic American rye whiskey with some exotic twist. I even got my second bottle of Knob Creek Rye with only 30 euros from a cruising boat going between Sweden and Finland. 30€ was an absolute bargain.